The stage with the three screen walls. 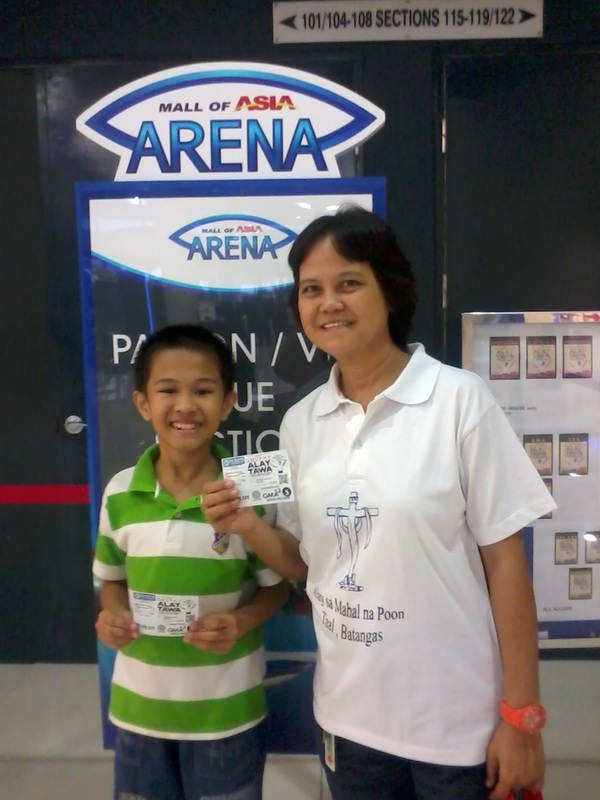 Alay Tawa wasn’t like any ordinary musical. Everything’s fitted for a royalty like the Comedy King. Had Dolphy’s been alive, we’re pretty sure that he’s truly enjoyed the said evening. Imagine having the three major television networks and its roster of celebrities under one roof for one night, all to pay tribute to Dolphy? For that time alone, it seemed like the network war has halted for a while. Nobody has ever done that; it took only the greatness of the late King of Comedy to do such. 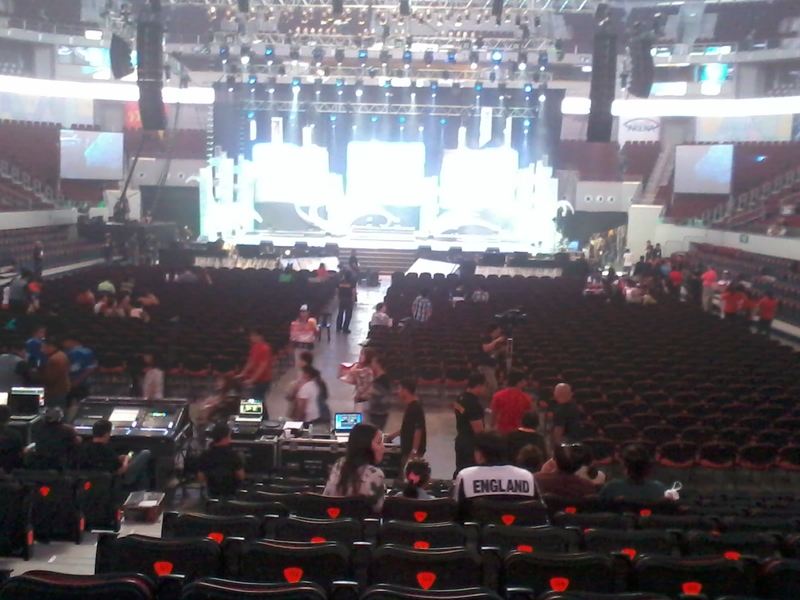 We were so early that seats were still vacants. But it was almost filled when the show started. 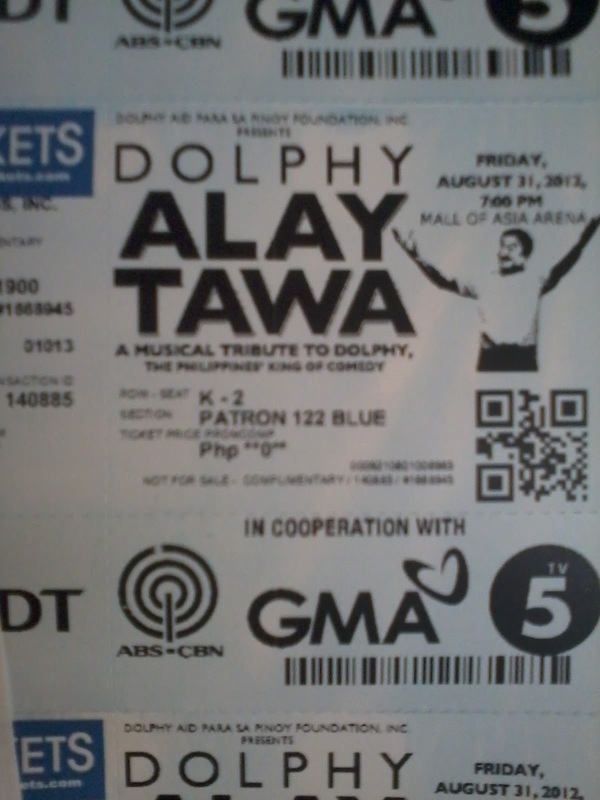 Alay Tawa was held last September 19 at the SM Mall of Asia Arena where as early as 5:00 PM, fans of the late Dolphy already lined up at the gates. Although the show started quite late, it didn’t dampen the crowd’s excitement. The show started with an opening act of the Quizon grandsons Rowell and John who rendered a few ballads and then made a remarkable funny impersonations of stars like Jaya, Janno Gibbs, Manny Pacquiao, Mommy Dionisia, Regine Velasquez, Nora Aunor and even their Lolo Dolphy. 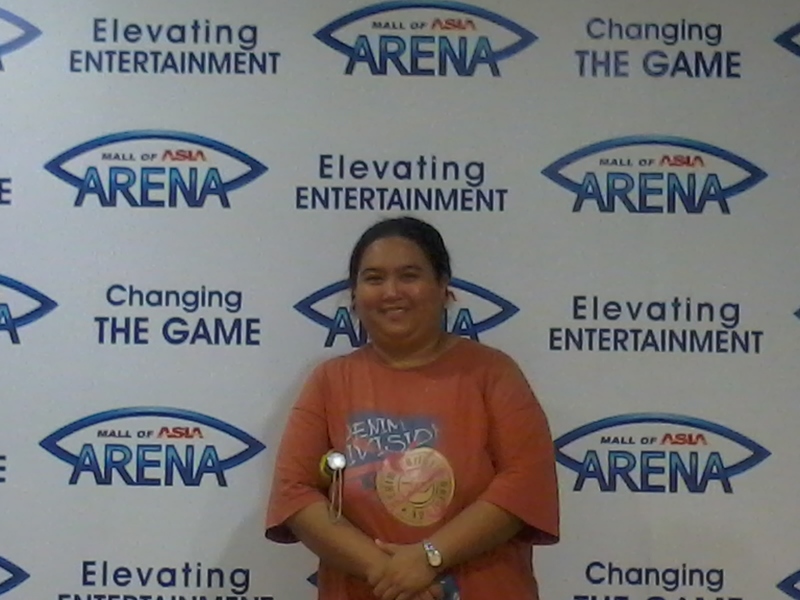 The author at the Arena. The opening number had no less than big celebrities like Gary Valenciano, Martin Nievera, Ogie Alcasid, Janno Gibbs and Sharon Cuneta. 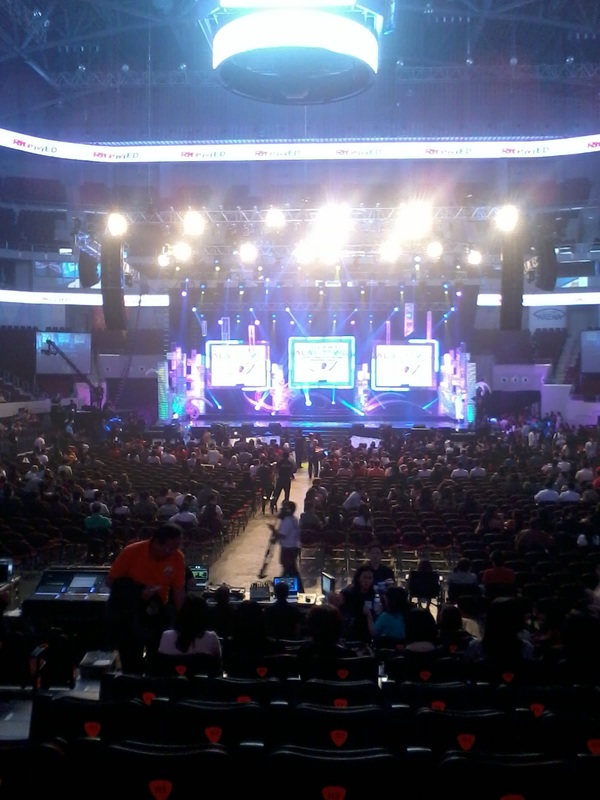 The show’s hosts represented their respective networks as well: Bernadette Sembrano, Toni Gonzaga, Judy Ann Santos, Boy Abunda (Abs-Cbn); Paolo Bediones, Lorna Tolentino, Edu Manzano, Ryan Agoncillo, Alex Gonzaga (TV 5); Rhea Santos, Marian Rivera, Dennis Trillo, Carla Abellana (GMA 7). 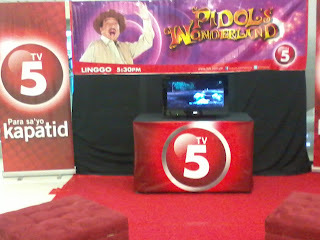 TV 5 even had its own booth at the venue where old episodes of Pidol's Wonderland was aired. Maricel Soriano, who played the Comedy King’s daughter in one of the longest-running TV sitcom John en Marsha also hosted a segment too. A funny song medley had Michael V., Mart Escudero, Daniel Matsunaga, Gio Alvarez, Smokey Manaloto, Wendell Ramos, Iya Villania, Melai Cantiveros, Daniel Matsunaga, Ruby Rodriguez and Ai Ai Delas Alas. 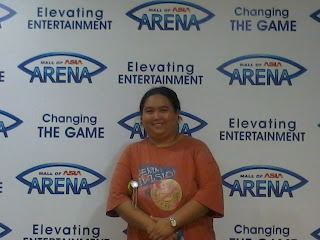 There were also the Jackson Five version of the Quizon boys with Eric, Vandolph, Epy, Ronnie and Boy2. The Going Bulilit Kids also participated in the short skits that recalled Dolphy’s old sitcoms like John en Marsha and Home Along da Riles. Even Nora Aunor made her surprise appearance as she recited Florante’s song Handog. Another touching segment was the pre-recorded rendition of Send in the Clowns by Vic Sotto that reportedly made Zsa Zsa Padilla’s eyes in tears. Dolphy’s contemporaries and friends like Eddie Garcia, Eddie Guttierez, Rosa Rosal, Nova Villa, Gloria Romero, Vilma Santos, as well as the three network’s big bosses: Felipe Gozon (GMA 7), Eugenio “Gabby” Lopez III (Abs-Cbn) and Manny Pangilinan also gave video tributes. The show ended with Zsa Zsa joining everyone onstage singing What a Wonderful World, as Dolphy’s video singing the same song was seen on the wall. White confetti rained on the audience. My nephew Kyle and Mommy Rica shows their patron/VIP tickets. 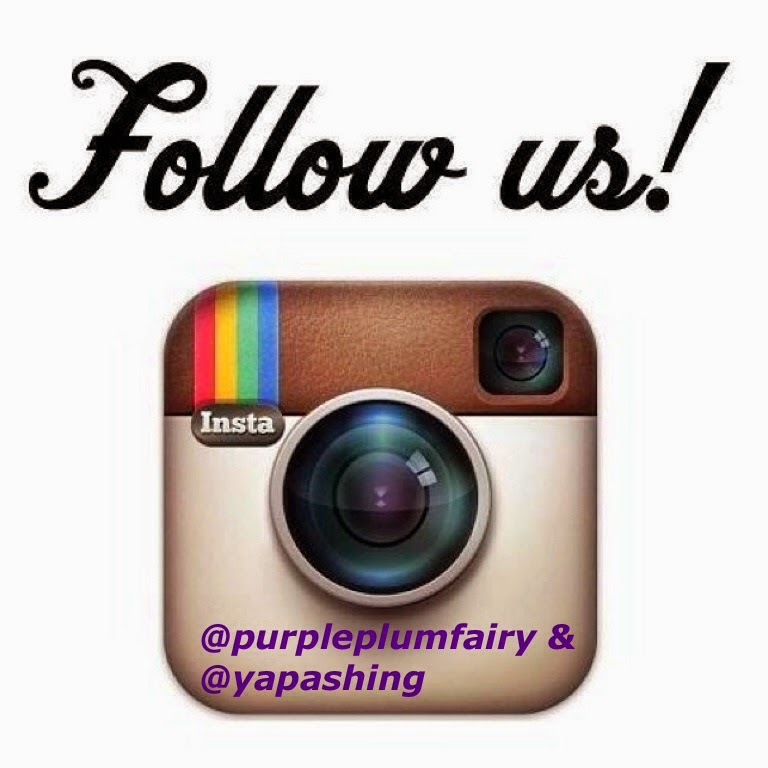 We truly enjoyed the show. Catch the show as it airs on three giant TV networks simultaneously this coming Saturday, September 30 at 10:30 PM. 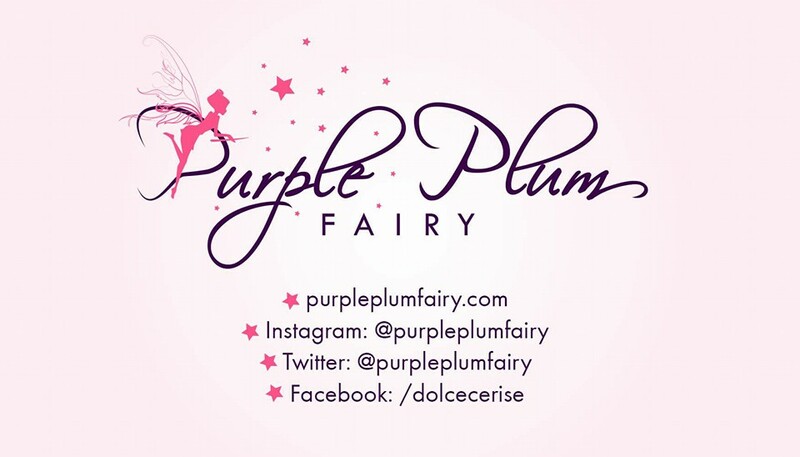 Purple Plum Fairy thanks Ms. Yenny Gonzales and Mr. Rommel Cortez for the tickets.